Later topic: Chat Room - IRC for printing? I recently purchased a Rejafix Model M1A letterpress printer (seems to print business card size or small prints) at a flea market and it is in good working order. It was made in London and distributed by Popper and Sons, Inc. in New York. I was wondering if anyone knows anything about this particular printer and how I can find replacement parts, namely the rubber ink roller and rubber printing bed. I apologize in advance if I had not used the correct terminology. Any help or direction to help would be greatly appreciated! Hi Michele. I can’t tell you much about this press, but I can show you some photos of a type, which probably was intended for use in Rejafix presses. I bought this type in a nice wooden box with Rejafix logotype. Michele, maybe you should get in touch with the St Bride’s Library in London. They might be able to give you more information on this press. Sounds fascinating. Can’t you post a photo? The chase in mine has conventional letterpress type in it and impressions on a card on top of the bed suggest it will print in a conventional fashion. Yet to try it out but would like to know the roller dimensions and truck size. Don’t know why, but this evening I did a Google search for “Rejafix” and found this site. 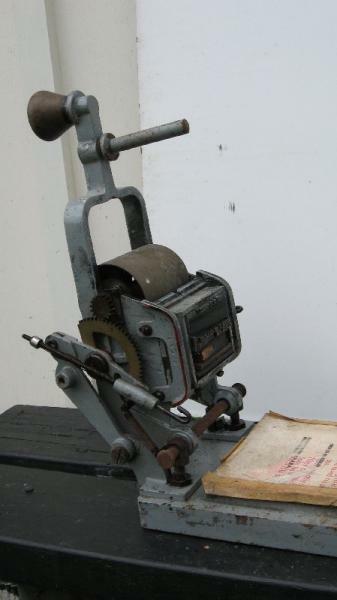 In 1972, I was hired by Popper & Sons, Inc as the Assistant Manager of their Marking Machinery Division (Department). Popper, a manufacturer and distributor of medical products, headquartered in New Hyde Park, NY, had this smaller department which was the Sole U.S. distributor of the Rejafix line of marking and imprinting machines, supplies and ink. Rejafix was located in Brentford, Middlesex, England on, I believe, Harlequin Avenue. 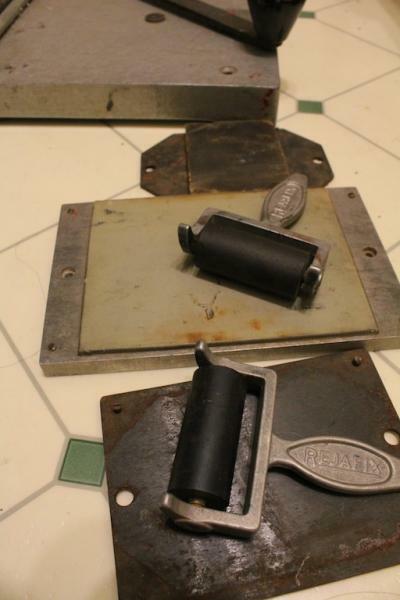 These were offset printers that came equipped with parts to allow them to also do letterpress imprinting. 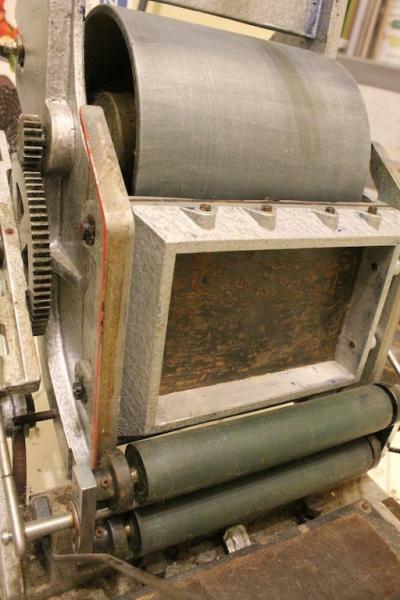 2) The Derby 560 which imprinted letterpress on cylindrical parts, fed from an automated hopper. 3) The K400, K600 and LP300 automatic feed letterpress imprinters which printed on folding cartons, card stock or labels. Often used for adding variable information to preprinted packaging. 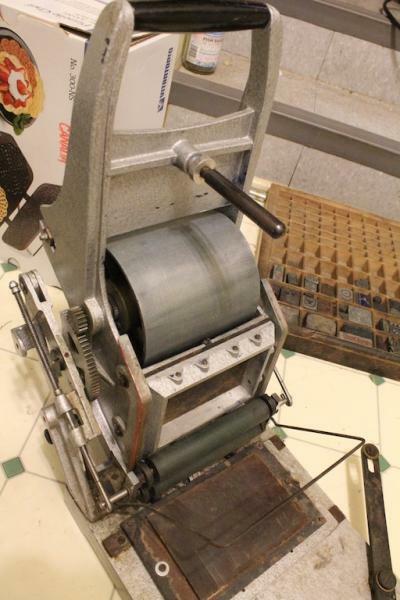 These machines, utilizing rubber printing plates, were among the first to allow in house printing of the (then) new UPC barcodes. In April of 1977, I left Popper to go into another industry. A short time later, Popper decided to devote its resources solely to the medical divisions. The Rejafix line, along with all U.S. inventory were transferred (sold, bartered, given?) to Eastern Marking Equipment also located on Long Island. In 1982, I returned to Popper to, eventually, head the sales and marketing department of their medical products. On occassion, I ran across some of the Rejafix machines out in the field and handled the occassional phone call from old customers not aware of the changes in distribution. I left Popper, this time for good, in 1995. Eventually, I became a NYC Mathematics Teacher and retired in 2010. Popper and Sons was acquired in the last severa years and is now part of Cadence Scientific located in Virginia. There is no one at Cadence that has any history or knowledge of the Rejafix line. Eastern Marking is still in business, Hempstead NY, but I do not know if they have any of the old inventory left. I do not believe that Rejafix Ltd. still exists as a manufacturer of this type of equipment. 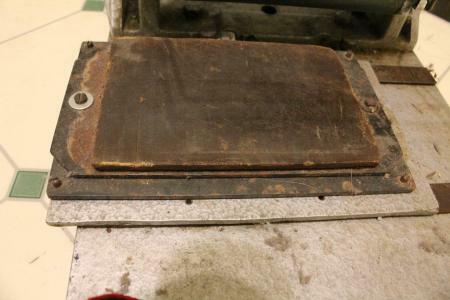 If any of the spare parts for these machines exist - - be careful of parts that deteriorate (rubber rollers, pads, etc.) as this stock may well be years (if not decades) old. Inks that work with these machines may be available from many sources. We used to buy most of our inks from Rejafix but did source a couple of lines domestically. One from General Printing Ink (Sun Chemical) that we called Glasstick and another, called ES-300, sourced from a company that I can no longer recall or find. All in all, these were great little machines for their intended purposes. Alas, in general, there time has come and gone. 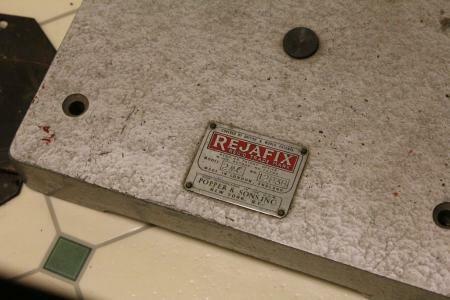 Wow, I also have a Rejafix which I purchased several years ago when I was first started looking for a press. 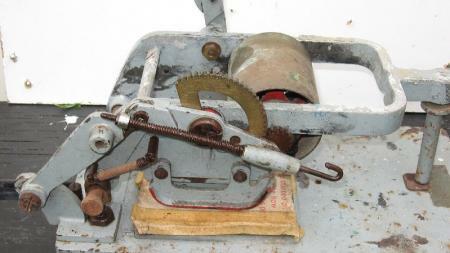 The previous owner who had used it kept it in very good shape and the rollers are still in very good condition. Unfortunately, he had passed away and his daughter was selling it off so there wasn’t much info I could get on it. 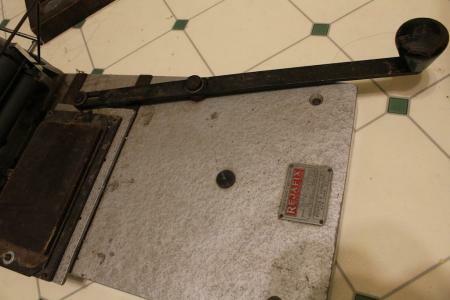 Did a bit of digging on the internet but never really was able too find much about this press and I never really had time to play around with it and figure it out. It’s a model 2MC, serial number 12838, made in London, England and distributed by Popper in NY. I’m wondering if the chase comes off as it looks like it should slide off and does wiggle slightly but I can’t seem to remove it. It also has this long pivoting arm which seems to push the pad along the tracks but I’m not sure what its actual function is. The offset pad is on tracks and is removable. It came with a couple different sizes but most of the rubber bases have deteriorated. It also came with a bunch of spare parts in little envelopes, mostly screws and springs. I wonder if there are specs available I might be able to get the pads recovered. It also came with some metal disc cutters but I’m not sure if it was to be used with the Rejafix. BwSheier, was there any documentation produced for operating it? 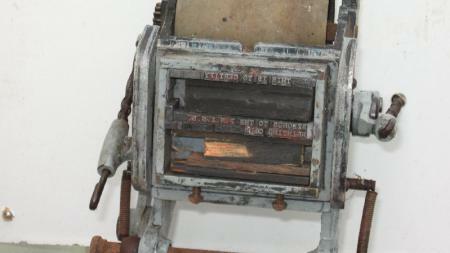 We have complete one at the Paper Trail with original type, ink tubes and roller. I have not had it out of the box for a while. I think this calls for a YouTube video. what kind if information are you looking for? Can you be a bit more specific on you what you want elaborated on? With regards to documentation, YES there were instruction manuals. However, due to the low production on all of these machines - - they were not the expected printed documents. At the time, they were simply the then current equivalent of photocopies stapled together. Yes, the chase is fully removable and many operators kept several fully prepared chases available for quick change. As memory serves, and it has been a very long time, the chase slid in on a single screw at the top and was secured by another (special) screw at the bottom. Both screws were on the back side of the chase and the lower one could be secured or removed when the print head was down on the print pad.